Air Assault Paintball can host private parties for categories of 2 people to over 150 people. A paintball party host is going to be designated for you and will also be along with you thorough the day. They will give you through all of the rules and train you the way to experience. All of the necessary safety safeguards is going to be described for your group, so everybody might have wonderful time while being safe. Your gear is going to be provided in your package. It’s suggested that you simply dress yourself in comfortable layers and reliable shoes. Your private playing area is open to you from beginning to dusk as well as your host or hostess may even referee your game. There’s a spectator position for individuals who don’t want to experience, but nonetheless wish to take part in the experience. Worried that paintballs hurt or will leave you with an unpleasant welt during the paintball bachelor party? Air Assault specializes in true low impact paintball guns. The paintballs are smaller, lighter, more fragile thus making the entire experience more fun! Parties may play capture the flag, elimination and other objective paintball games. Don’t forget to have the Bachelor run the gauntlet at the end of the session! 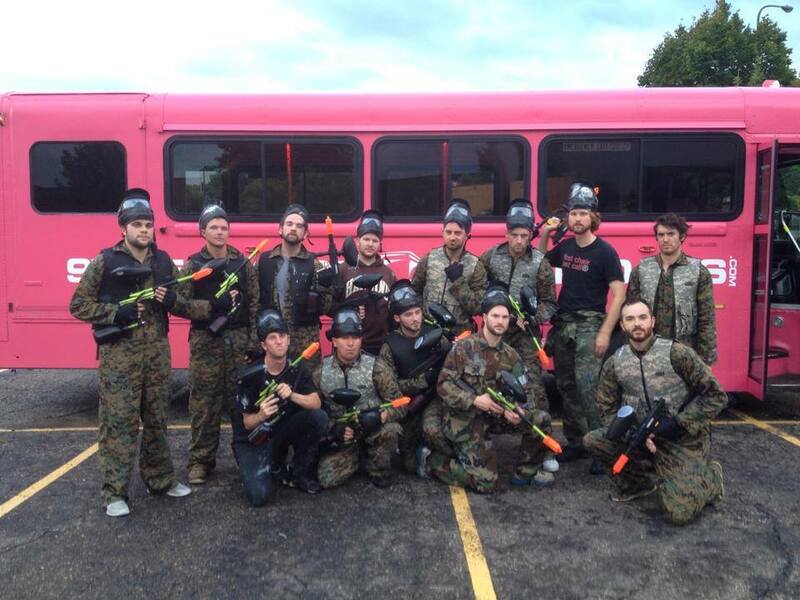 Here at Air Assault Paintball we specialize in private group parties such as a paintball bachelor party. From birthday parties to bachelor parties, we are the Twin Cities best spot to host your next big event. Just give us a call at 651-222-0300 or book online to reserve your spot today!